Millions of Americans suffer from tooth loss. Luckily, if you are missing one or more teeth from tooth decay, gum disease, or injury, there is a way to restore your smile. You can replace missing teeth with dental implants. 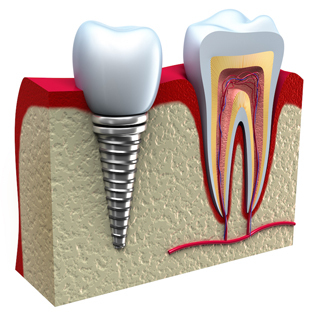 Dental implants are replacement tooth roots that provide a strong and sturdy foundation for permanent or removable replacement teeth. These replacement teeth are typically crowns or bridges and are made to beautifully match both the appearance and function of your natural teeth. Don’t go another day with an incomplete smile. Replace any and all of your missing teeth with dental implants at Country Isles Dental. Schedule a dental implant consultation with our experienced dental team today.